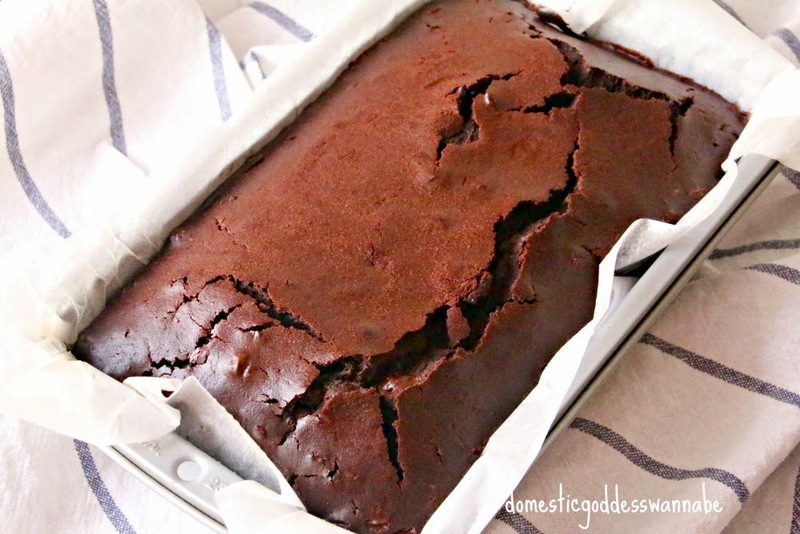 I woke up one morning last week and in my news feed was this photo of a loaf of chocolate bread. 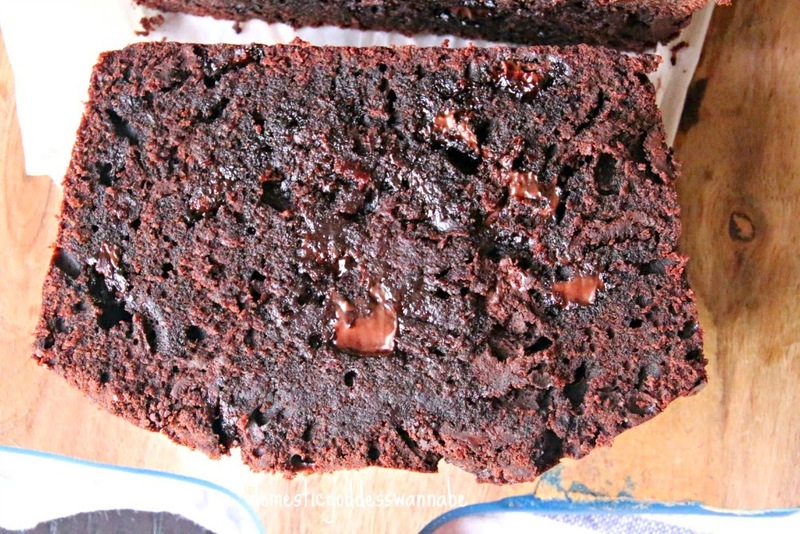 You mean a slice of rich and moist chocolate bread with little globs of melted chocolate dotted here, there and everywhere in the bread? So once I got cleaned up and finished my chores, I got down to baking this bread. The result was even better than I had anticipated. 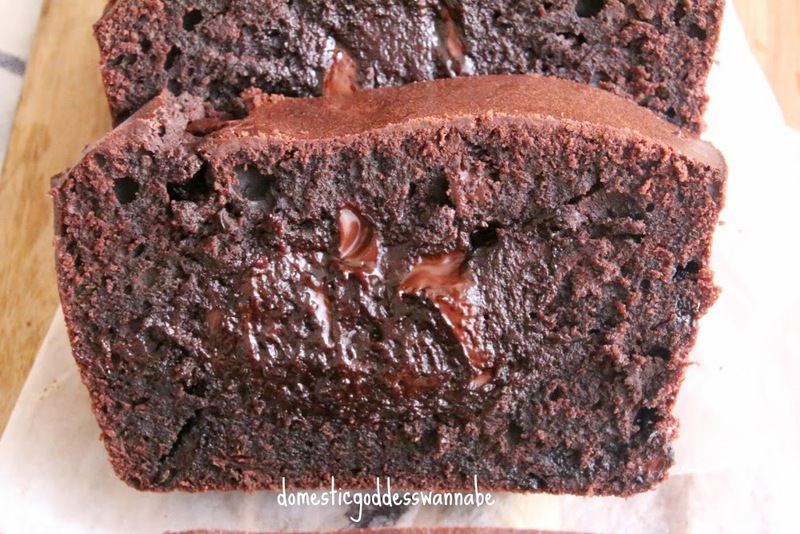 If you are a fan of chocolate, and if you like quick and easy bakes, then you really got to go bake this ASAP. In a mixing bowl. add milk, vegetable oil, eggs, vanilla extract and instant espresso. Using the paddle attachment of the mixer, mix until combined. In a medium bowl, sift together flour, cocoa powder, baking powder and salt. Add the sugar to this, and set aside. Take 2 tablespoons of the flour/cocoa mix and add to the chocolate chips. Stir to combine. 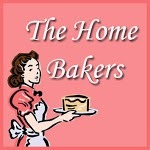 This will help to prevent the chips from sinking to the bottom of the batter. Add the dry ingredients to the wet. Mix until combined. Add the chocolate chips. Mix on low speed until just combined. Pour the batter into a greased and lined 9x5-inch loaf pan. Bake at 160°C for 1 hour and 15 minutes, or until a wooden pick inserted into the thickest part of the cake emerges cleanly. 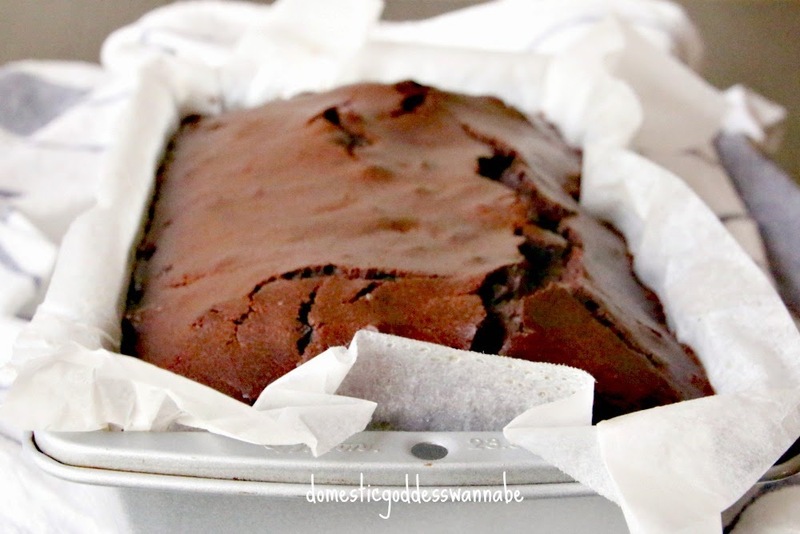 Allow the cake to cool in the pan for about 20 minutes before transferring it onto a wire rack to cool completely. I love the cake slightly warm. 1. In a mixing bowl. add milk, vegetable oil, eggs, vanilla extract and instant espresso. 2. Using the paddle attachment of the mixer, mix until combined. 3. In a medium bowl, sift together flour, cocoa powder, baking powder and salt. Add the sugar to this, and set aside. 4. Take 2 tablespoons of the flour/cocoa mix and add to the chocolate chips. Stir to combine. 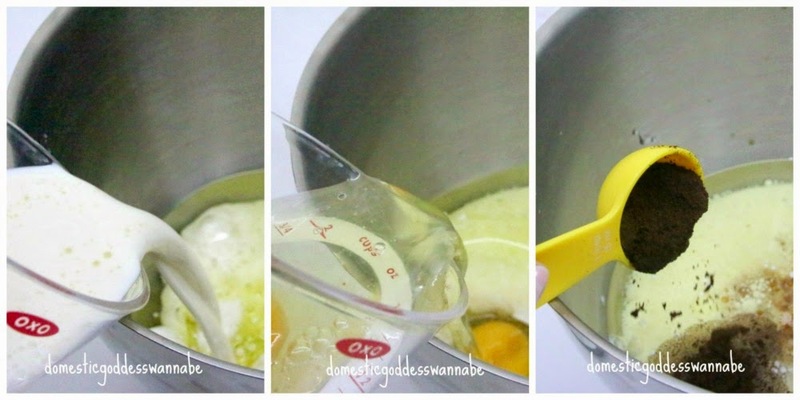 This will help to prevent the chips from sinking to the bottom of the batter. 5. Add the dry ingredients to the wet. Mix until combined. 6. Add the chocolate chips. Mix on low speed until just combined. 7. Pour the batter into a greased and lined 9x5-inch loaf pan. 8. Bake at 160°C for 1 hour and 15 minutes, or until a wooden pick inserted into the thickest part of the cake emerges cleanly. 9. Allow the cake to cool in the pan for about 20 minutes before transferring it onto a wire rack to cool completely. Chocolate is one of the most enjoyable and effective ways to medicate.Full Melt offers a variety of fun and delicious flavors to choose from including both plain milk and dark chocolate bars for those who want to experience the true flavor of cannabis.